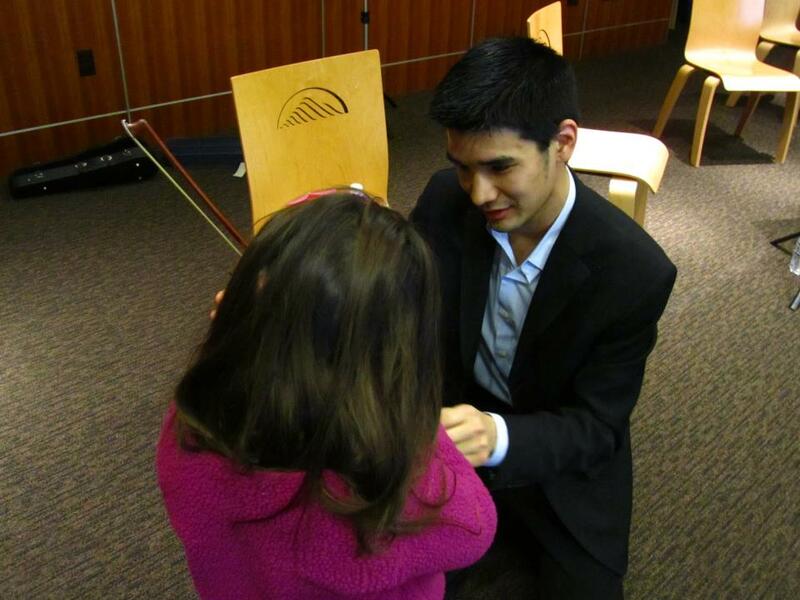 I am a professional violinist in NYC, with degrees from Juilliard (M.M. and D.M.A. in Violin Performance) and Harvard (B.A. in Music). Among my teachers are Joseph Lin (first violinist of the Juilliard String Quartet), Ronald Copes (second violinist of the Juilliard String Quartet), Lynn Chang (Boston Conservatory), and Robin Sharp (Stanford University). Other musicians whom I consider integral to my development as a musician include Robert Levin, who coached me in chamber music at Harvard, and Norman Fischer, with whom I studied contemporary music at the Tanglewood Music Center. My performance experiences range from solo (performances with the Sendai Philharmonic, Sapporo Symphony Orchestra, and AXIOM Ensemble, among others) to orchestral (Metropolitan Opera Orchestra, New World Symphony, Tanglewood Music Center Orchestra, and more) to even popular music (Stars of the Lid tour and Cheryl B. Engelhardt's CD One Up)! I am constantly evaluating my own musicality and the physical mechanics of how I play, and I apply this to my teaching of students of all levels. "When I decided to take violin lessons, I wanted a teacher who was knowledgeable, patient, understanding, and considerate. Mr. Shiozaki is all that and more... 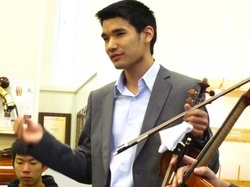 I strongly recommend Alex Shiozaki as a violin teacher to anyone who wants to sharpen their skills, or even someone who has never touched a violin until now."